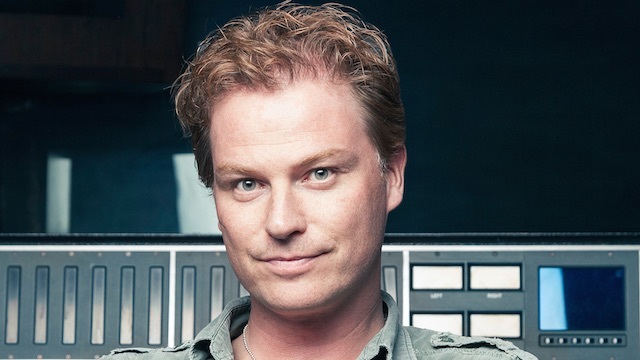 Fredrik Thomander is a Swedish songwriter/producer and multi-instrumentalist currently living in Palma, Majorca. 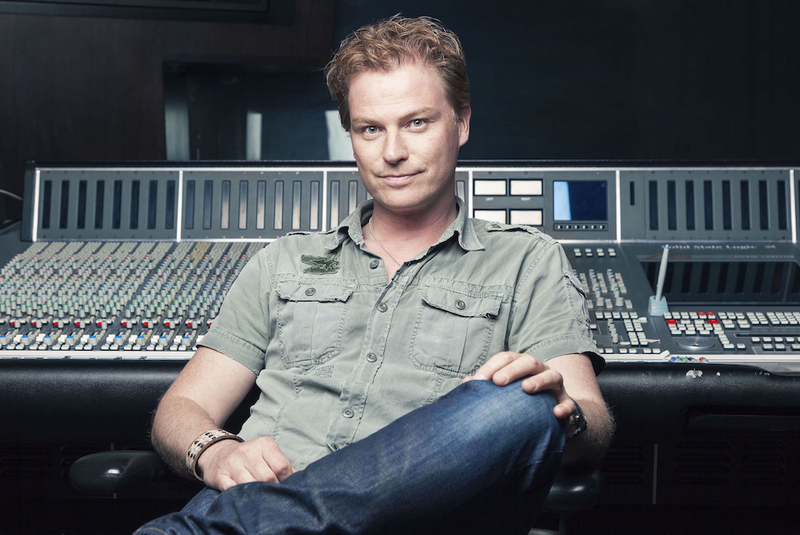 He currently runs Thunderbay Music and his credits include Agnetha Fältskog, N Sync, Scorpions, Girls Generation, Arashi, Darin, A Teens, Gotthard, Backyard Babies, Natural, Agnes Carlsson, No Angels and Kim Wilde. We ask him about his current projects and discuss the vocal editing process in particular. Tell us a bit about how you got into production. Well I started off as an artist in the 90’s – touring and making records. I then got into the habit of liking the studio environment more than touring and soon stumbled into production along with song-writing. I then wrote songs that became records and was asked to produce the records because I did the demos. Back in the 90's, vocal comping and editing was such a tedious task. I used to spend so many days and weeks editing by hand and doing it the old way. I then moved over to using Autotune in graphical mode, following each and every step, before discovering Melodyne and then VocALign, which solved the many problems I was experiencing - specifically, when lining up background vocals with lead vocals. Recently, I've had two different bands visiting the studio to work with me in Spain. A pop group called Good Harvest from Sweden - who sound a little similar to First Aid Kit; and another band called Heat from Sweden as well. They are basically a modern take on 80's hard rock and I'm going to be producing a record with them after the summer I think. Other than that, I'm working a lot with Asian artists because many of my songs have been recorded by quite big groups in countries such as Korea and Japan. I was in Japan in January and it's just a really good market over there, with big sales and it's fun. Those sessions tend to be super crazy vocal-wise. I'm actually mixing stuff now where instead of 3 or 4 harmonies, it's like 10 harmonies. There are usually so many members in each band, and a lot of them like jazz harmonies so the backing track parts usually get super-crazy. This is where a programme like Revoice Pro becomes super helpful for me. What was it like working on ABBA/Agnetha’s comeback album? Well, first of all, she's my childhood hero so her vocals are like a blueprint for me because I grew up listening to her as a kid. Just getting the session, hearing her singing and being able to work with her was fantastic, because she's a legend and it was her comeback album! To be honest, working with Agetha was one of those things where it was more important to create the right vibe in the songs. We didn't want to whip her in the studio - we wanted her to feel really good and happy about working with us. A lot of times on Agnetha's album, producer/writer Jörgen Elofsson and I would create a demo and then she would make her own representation of the song. If you can always marry the backing vocal to the lead vocal, that is always the key in making something sound really good; and you don't want to have to re-record all of the background vocals, just because they might seem a little short on certain notes. With this album, I did everything in Melodyne and it was such a tedious process, taking a long time, although if I'd have known about Revoice Pro during then it would probably would have only taken a few weeks to edit. Having said that, I'm starting to get a hang of the workflow now and loving it! So you plan to use Revoice Pro a lot more in future? I edit a lot of background vocals, and if I have a singer that does something very personal and vibey, and I'm able to dub that, it's just fantastic to have Revoice Pro to enable me to do it! It does something that I haven't had before and it's a fantastic tool! I've just started using it but suspect that it's soon going to become my 'to go' tool for everything. Also, the progress that you have made with the plug-in in terms of simplifying the workflow process, everything that I've wished for has come true in each new update. I can't wait to see what you guys have up your sleeve for the next one! The more famous the singer, the less time you get in the studio with them, so if you have 4-5 hours to make something magical, whatever tool you can use to make that count can be a life-saver. If I want to tighten up the dub, I'll just use the algorithm without the melody, or if I've already tightened it up in Melodyne, I'll just go through and use the rhythm and the melody from the fixed guide and use it on all of the dubs within Revoice Pro. What would make everything easier would be if I stayed within Revoice Pro all of the time so that I can import all tracks in and do all of the editing there. That way I won't have to go back and forward. There's the technical side of production, and then there's the vibe side. On the technical side, getting a good signal as far as acoustics is super-important. You could have a mic that's not fantastic or you could have a preamp that's not great but for vocals, to have a great sounding room is so important. You could have bad equipment but if you have a great sounding room, you can still go far. But that's on the technical side. I would say creatively, I always go for an upwards, forwards vibe, to try to keep everyone creative and happy. On a good day, we can create something that will change lives and careers, and on a bad day, we'll have a coffee and hang out. I always try to avoid creating too much drama. Those hours that you write and collaborate are so important. You pour whatever emotion you have into that, to fit the moment so there's no room for egos or drama or such things like that. I always try to keep the vibe really good, so that we have fun. Always keep it fun!